FREE Personalized Knob Creek Labels! You are here: Home / FREEbies / FREE Personalized Knob Creek Labels! Get FREE Personalized Knob Creek Labels! You must be 21 to request! 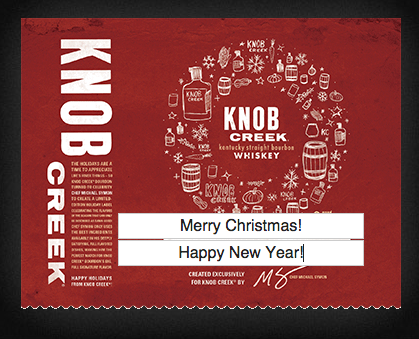 Just fill in this online form to request your FREE Personalized Knob Creek Labels!